Get a great price on the Joyetech Ultex T80 Kit from Vapor DNA. The Joyetech Ultex T80 is a tubular vape mod with a cool futuristic design and packed full of interesting features that we usually see on box mods. 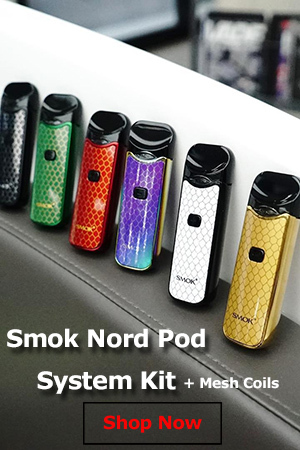 But what really sets it apart from all the other similar vape kits on the market – of which there are many – is the Cubis Max tank. It’s got top airflow to minimize leaking, holds up to 5ml of e-liquid, and most importantly, it does away with coil-heads, relying instead on an innovative heating element that can allegedly be cleaned and re-used for months. 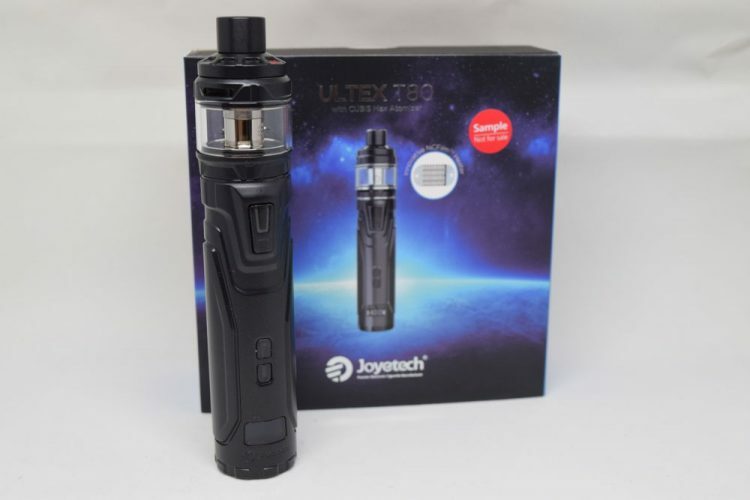 The Ultex T80 kit comes in a large rectangular cardboard box with the assembled tubular mod and sub-ohm tank on the front, and a list of contents, company information and a scratch and check authenticity seal on the back. Inside the box, we have the single 18650 battery tube mod sitting next to the Cubis Max tank, a spare glass section and a smaller box that contains the micro-USB charging cable and two small bags of accessories (cotton sheets, spare o-rings for the tank, a spare NFC heating element, and a small screwdriver). At the bottom of the box you’ll find separate user manuals for the mod and the tank as well as a battery warning card. 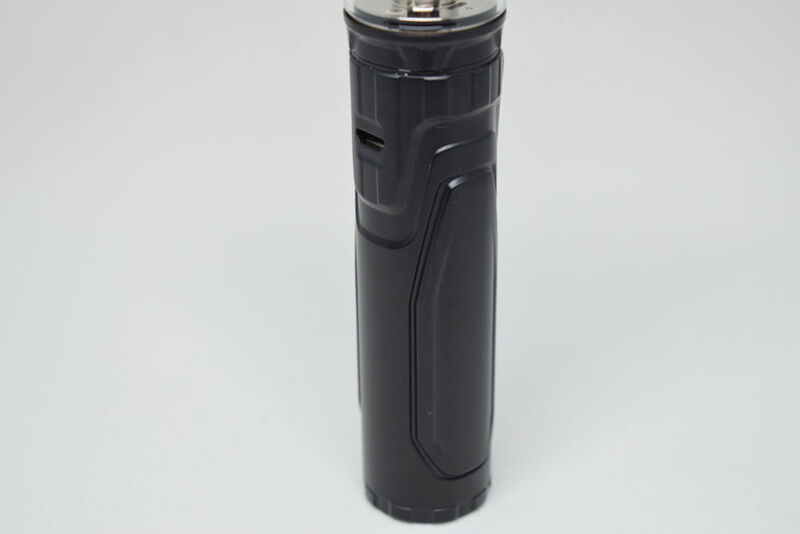 The Ultex T80 looks very different compared to the vast majority of regulated tubular mods. Instead of a simple tube with an unimpressive tank slapped on top, you have this intricately designed piece of metal that, in my opinion, resembles the handle of a lightsaber, and a futuristic-looking tank. It’s really quite impressive for appears to be a rudimentary vape mod. But appearances can be deceiving, as there is much more to the T80 that meets the eye. 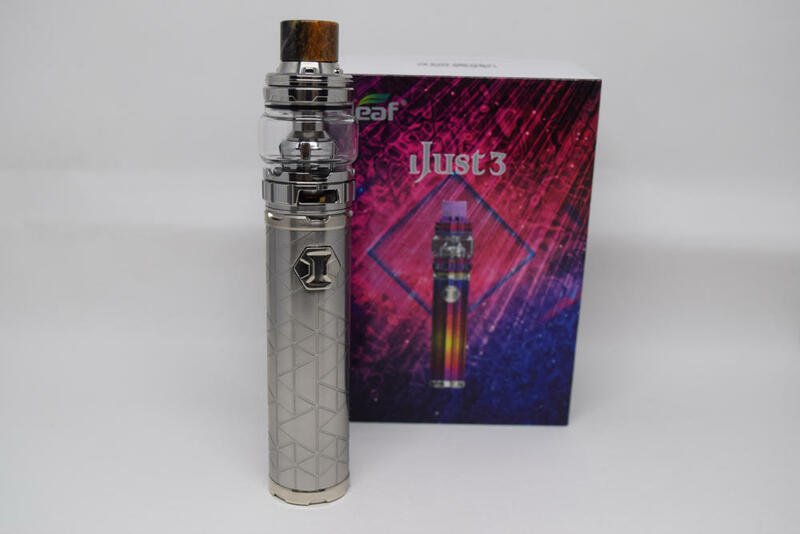 The mod is made of zinc alloy and has a comfortable weight to it with a battery inserted, and the tank is made of stainless steel and glass. 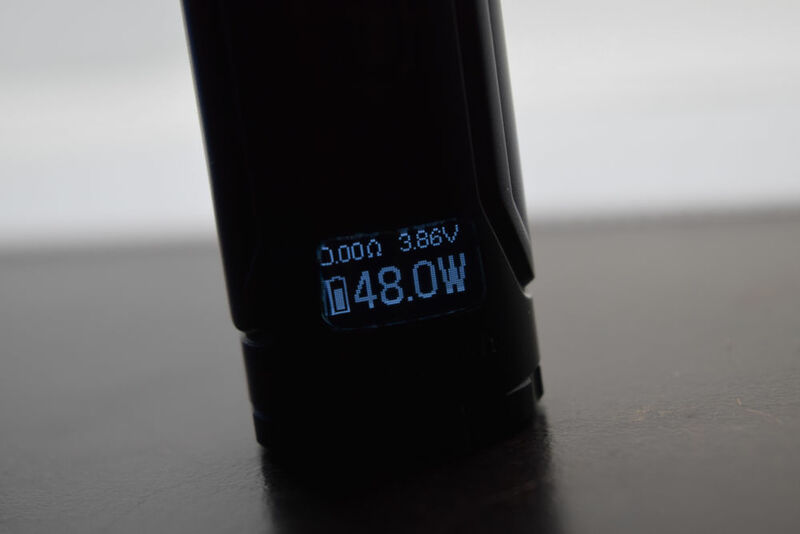 From the bottom of the battery tube to the Delrin drip, the Joyetech Ultex T80 measures 138.5mm and has a diameter of 28mm. But that’s around its widest point, so don’t assume that you can get away with a 28mm atomizer without any overhang. 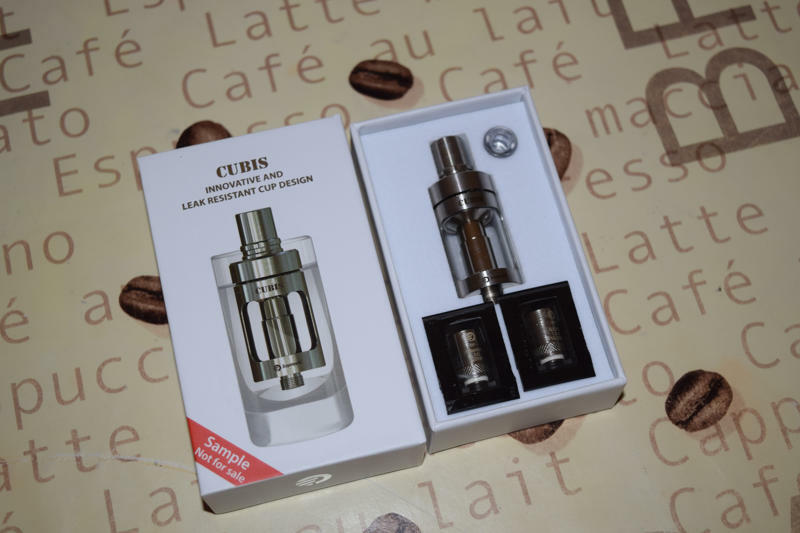 The Cubis Max tank is also 28mm around its glass section, but it’s actually only 26mm at the base in order to align perfectly with the tank. So any tank or RDA with a base larger than 26mm will overhang. It’s hard for me to describe the general look of this mod, but I think the word futuristic pretty much sums it up. So if you’re into SciFi, alien artefacts, and stuff like that, I think you’ll find it very attractive. I personally like the overall design and I think Joyetech deserves a thumbs up for trying something different. Starting at the top, the Ultex T80 mod features a classic 510 connection with a gold-plated, spring-loaded 510 pin. The fire button is located close the top of the mod, opposite the micro-USB charging cable. Instead of the classic round fire button, Joyetech decided to go with an elongated rectangular design that fits the general design of the mod very well. The button protrudes from the mod quite a bit, is very clicky and doesn’t have any rattle. The ‘+’ and ‘-‘ buttons are located between the fire button and the small display near the bottom. They are not marked but it doesn’t take a genius to figure out which is which, since they are positioned one above the other. Unlike the fire button, which doesn’t rattle at all, these adjustment buttons are very loose and do rattle if you shake the mod. However, I didn’t find them annoying at all during day to day use. The Joyetech Ultex T80 is one of the few modern tube mods that features an integrated display. It reminds me of the early regulated tube mods, like the Provari 2.5. It’s a small, black and white screen with an unimpressive resolution compared to the gorgeous screens we’ve seen on box mods like the Modefined Draco or Smoant Naboo, but it’s a nice feature nonetheless. Finally, at the bottom of the mod, we have the battery cap, which unscrews to reveal the single 18650 battery compartment. The bay itself is a bit tight. Batteries with original wrapping fit snug, but rewrapped batteries tend to get stuck inside because there’s no wiggle room at all. That’s a pro and a con, depending on how you look at it. Most of the regulated tubular mods I’ve reviewed lately, like the SMOK Stick Prince or the Eleaf iJust 3 didn’t even have a menu. They ere rudimentary vaping devices that pulled power straight from the battery, so all you had to to was screw on an atomizer and push the fire button. Well, the Ultex T80 is different. Not only does it have variable wattage technology, but it also has most of the features we see on advanced mods, like temperature control, TCR and preheat settings. To be honest, I really didn’t expect it to be this complex. To get into the modes menu, all you have to do is press the fire button three times. 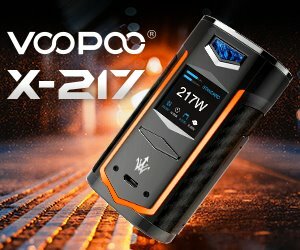 You will then be able to browse through all the available modes – wattage mode, temperature mode for three supported materials (stainless steel, titanium and nickel), three TCR memory modes and even Bypass, which lets you pull power straight from the battery, but with all the built-in protections still active. But the Ultex T80 actually has a secondary menu you can access. Hold the fire button and the ‘+’ button pressed simultaneously for two seconds, and you will be taken to the settings menu, where you can, select which secondary parameter appears on the main screen (voltage, amperage or puffs) enable and disable Stealth mode (turn off the display), select the duration and intensity of the preheat, check the version of the firmware and, finally, check the voltage of the battery. Apart from custom curves mode, and other bells and whistles that you don’t really need, this thing has all the main features you’ll find on the latest advanced mods, which is pretty darn impressive. Navigation is pretty straightforward, as all you have to know is that the ‘+’ and ‘-‘ buttons are used to browse through various submenus and options, and pressing the fire button confirms your choices. While the Joyetech Ultex T80 is pretty cool for a regulated tube mod, it pales in comparison to the Cubis Max tank, which is a bit unusual, as in most other similar kits, you get a run of the mill tank that works ok but doesn’t really blow you away. But as I said before, this kit is different. Like the original Joyetech Cubis tank, the Cubis Max features top airflow to minimize leaking. It has an e-liquid capacity of up to 5ml, and can be refilled through the top fill port, by sliding the top cap outwards. Just look for the red arrow on the top cap and push against it with your thumb to reveal the fill slot. The airflow channel on this tank is very interesting. basically that chimney going through the middle of the tank has air and vapor going in opposite directions. There is an outer channel through which the air travels from the top airflow slots down to the heating element at the bottom and then goes into the inner channel and reaches the user’s mouth. The design is similar to the OBS Engine RTA, only here you can actually see both channels when you disassemble the tank. But what really sets the Cubis Max apart from any of the tanks I’ve ever used is the fact that it doesn’t need coil-heads. 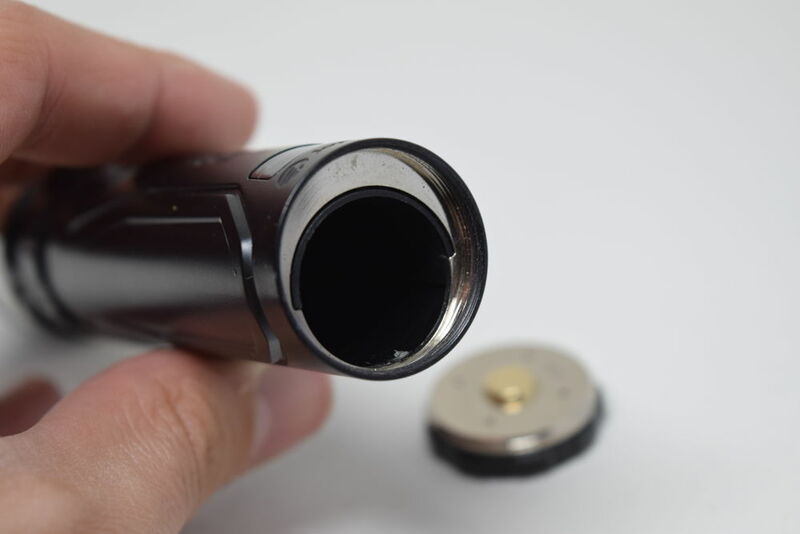 Instead it uses a replaceable heating element called NCFilm heater, which I am pretty sure stands for “Notch Coil Film”, as this heater looks very similar to Joyetech’s innovative notch coil. So how does this NCFilm work? Well, it’s actually quite an interesting design. The heater is screwed to the inside of the tank and on the tank base you have a square sheet of cotton pressed against it. When the battery is activated, the NCFilm element, which is made of Kanthal, heats up and vaporizes the e-liquid absorbed by the piece of cotton. 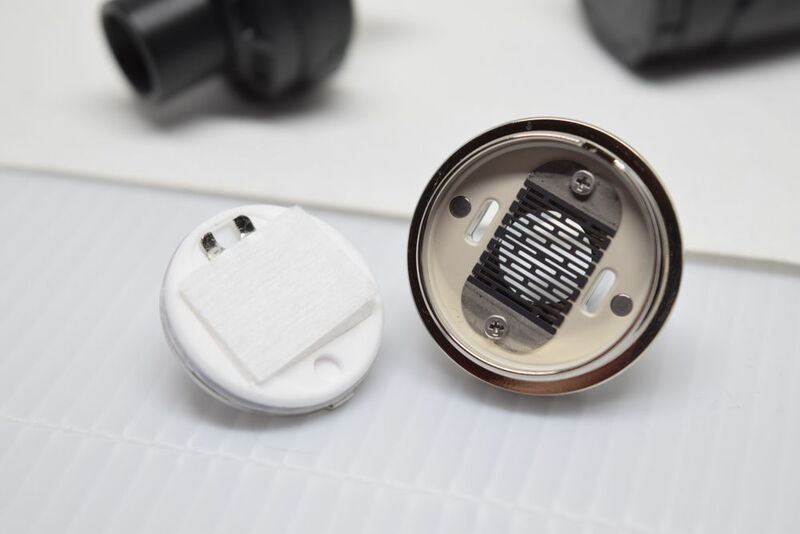 The juice flows into this unconventional wicking through two slots located on either side of the heating elements, so you never have to worry about the cotton drying up as long as there’s e-liquid left in the tank. Thank you, gravity! 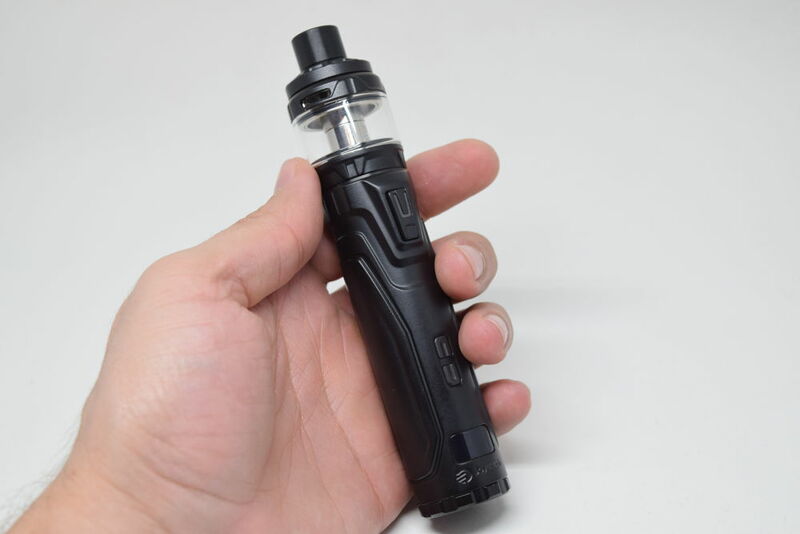 The Cubis Max is designed in such a way that you can check the cotton wicking and even replace it without having to drain the tank, which is a big plus. 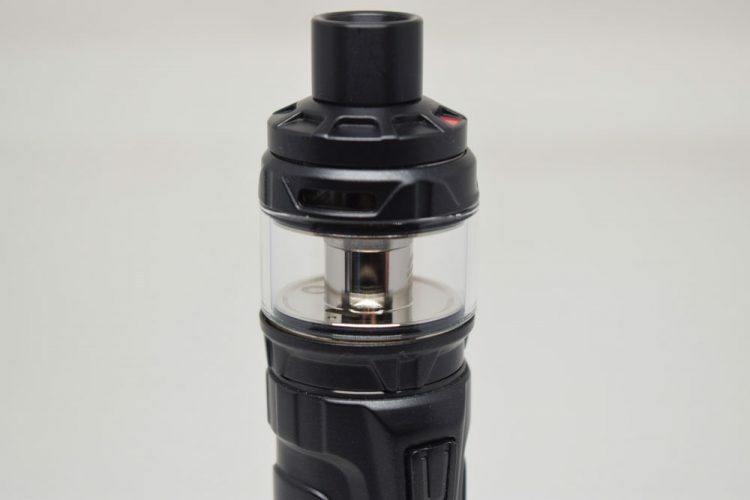 All you have to do is unscrew the outer ring around the base of the tank, hold the atomizer upside down and then grab the connection pin and pull the base off. Then you can adjust or replace the sheet of cotton, put the base back on and keep on vaping. The biggest advantage of this innovative NCFilm is that you can actually clean it and reuse it for several months. That doesn’t work with most coil-heads. 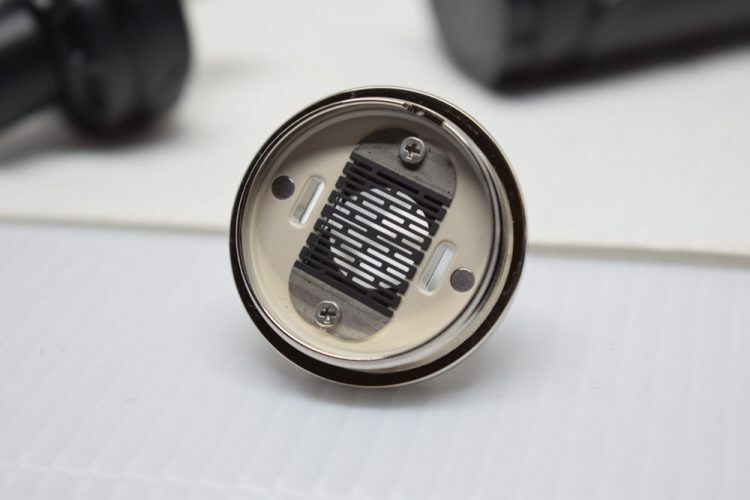 Once gunk builds up around the heating element and on the wicking, all you can do is throw it away, but with this heating element, you can just dry burn the juice deposits, change the wicking and you’re good to go. Joyetech claims that you can use an NCFilm for up to three months before replacing it, but I guess you can use it even longer than that if you’re vaping a clear, unsweetened e-juice. And since the Ultex T80 kit includes a spare NCFilm heater, you’re good to go for at least six months, which is a huge pro in terms of maintenance consts. To replace, just use the included screwdriver to take out the two tiny screws keeping the heating elements in place, put the new one back on, and you’re good to go. 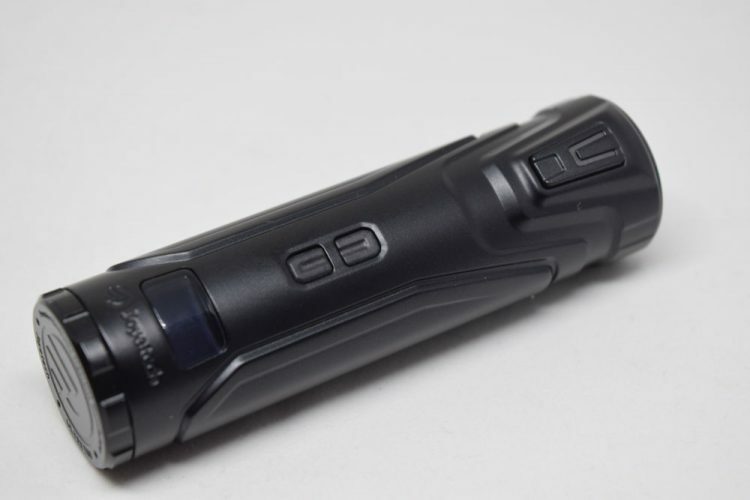 As I mentioned, the Joyetech Ultex T80 is powered by a single 18650 battery (not included). Battery life depends on a variety of factors, like the capacity of your battery, the set power output and how much you’re using the device. If you’re going to crank up the power to maximum (80W), that battery won’t last you more than a couple of hours, maybe three, but at a reasonable power level (40W – 50W), you’re probably going to get around 6 hours of battery life. That’s been my average range anyway. The Ultex T80 features on-board charging, fast charging and vape-while-charging. 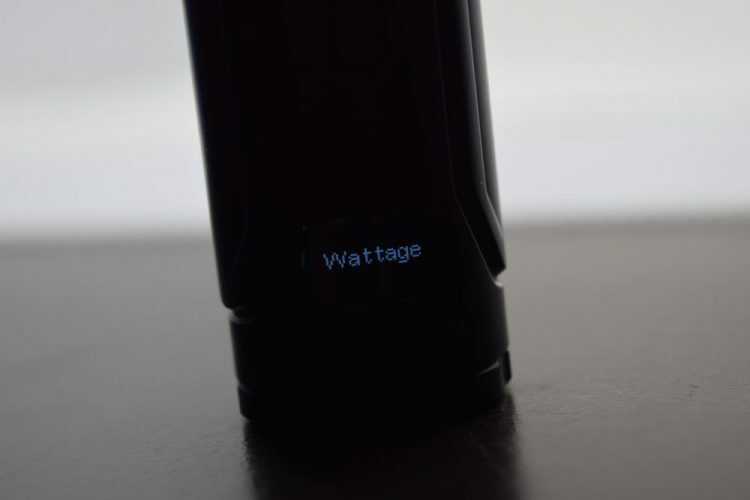 The battery charging rate stated on the Joyetech website is 2A, and you will be able to use the device while it’s charging. That’s pretty good, but if you own an external battery charging, I recommend you use that instead whenever possible. It’s safer, and it’s better for the battery. In terms of performance, I haven’t had any issues with the mod whatsoever. I don’t know what chip Joyetech has used this time around, but this device fires extremely fast, and so far I have yet to encounter any errors. It works as intended is what I’m trying to say. The tank is about the same, although there are a few things I would like to point out. The NCFilm may have the huge upside that it can be used for a long time and thus save you money, but it also tends to shoot droplets of hot e-liquid into your mind every once in a while. It’s not nearly as bad as the original Cubis and it’s BF coil-heads, but it does happen occasionally so I have to mention it. However, the droplets rarely make it all the way to your mouth, and they’re really small so you barely feel them. Another thing I have to mention is the mediocre flavor. It’s not bad, but it’s definitely not the best I’ve ever gotten out of a tank either. 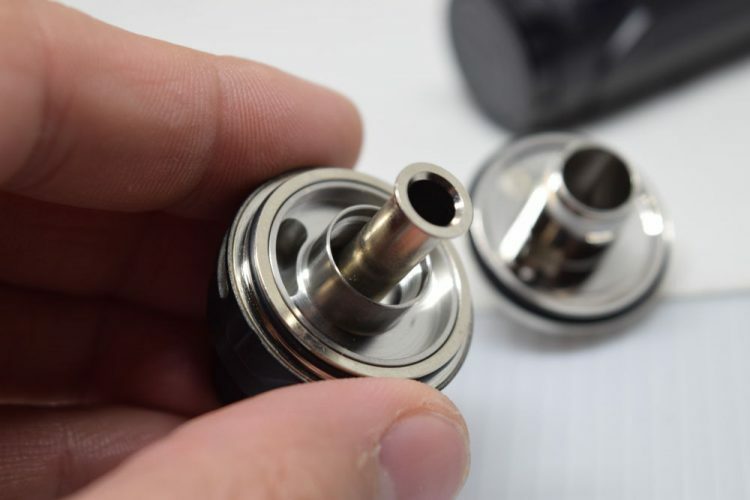 As far as I can tell, it has nothing to do with the wicking not being completely saturated – Joyetech’s system actually guarantees perfect saturation – but rather with the way the airflow is designed. You see, the air coming through the outer chamber of the chimney only hits the top of the NCFilm heater and then goes straight through the inner chamber, and that’s not ideal in my book. The airflow doesn’t even hit the heating element directly, not to mention coming in from underneath it to push all the flavorful vapor into the chimney, but rather travels above it before shooting back up. Overall, the NCFilm heater is a very interesting innovation, I just think it needs a bit of work to perfect. 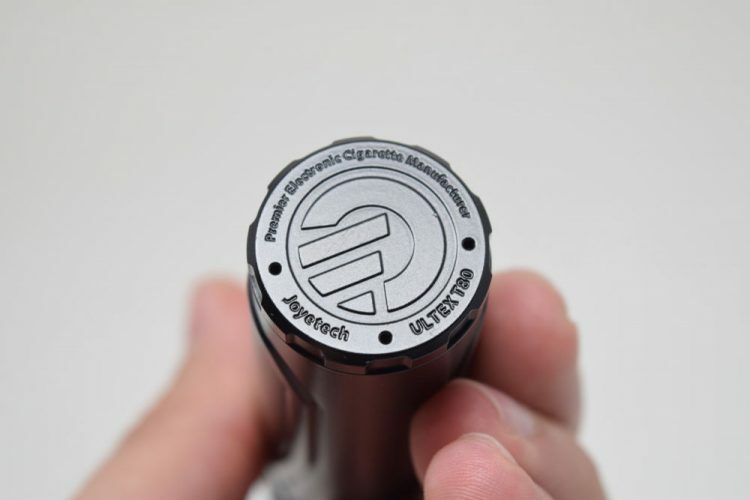 I for one can’t wait to see what Joyetech does with it going forward, because the premise of a reusable coil for casual users is definitely going to appeal to a lot of people. The Joyetech Ultex T80 surprised the heck out of me. 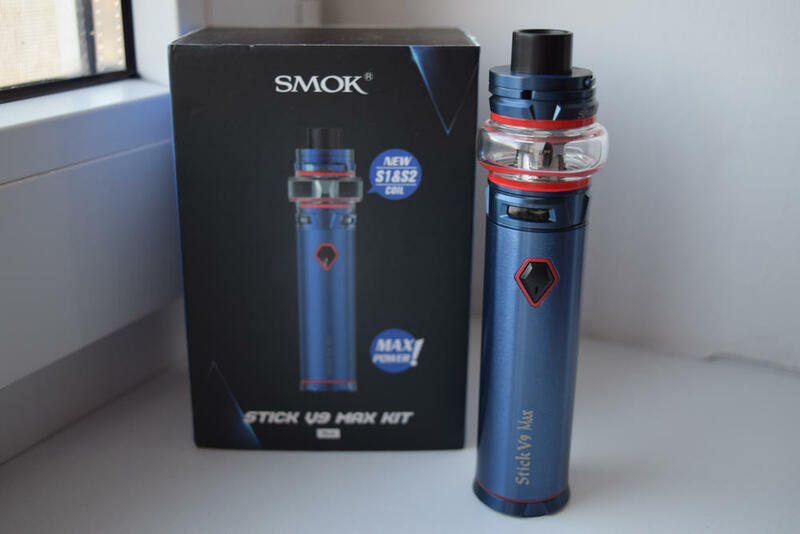 The mod itself is way more advanced than I expected, featuring most of the modes and settings we usually see on high-end box mods, and the NCFilm really made the Cubis Max tank the star of this kit. The fact that you can clean it and use it for months is a potential game changer, and the performance was promising as well. Whether you’re looking for a tubular mod that’s packed full of features or just want to see what the new NCFilm heating element is all about, I recommend giving the Ultex T80 a try, it’ll surprise you.